Maguro Donya - a concept by renowned Japanese tuna and fish wholesaler Misaki Megumi Suisan with superior maguro sourcing capabilities. Maguro Donya's cost savings are passed on to gourmands at unrivalled prices. Serving up premium items at premium prices without compromising on quality, Maguro Donya maintains high food standards with a technique called super frozen to keep the fish at peak freshness. As soon as the fishes are caught on ship, they are kept frozen at 60 degrees celsius. 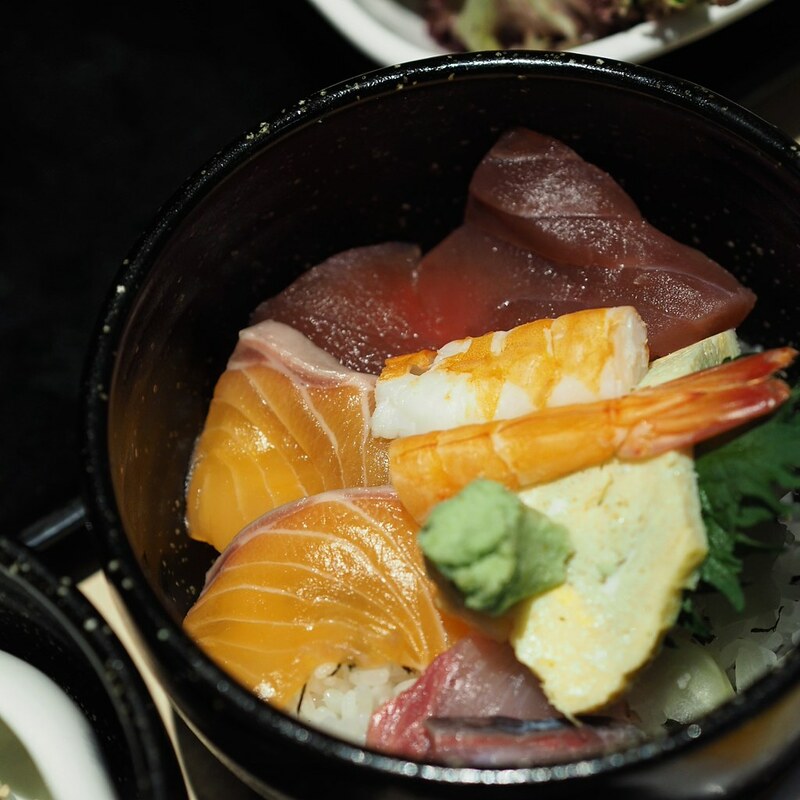 The fish is then imported firectly from Misaki Port to Singapore via ANA air freight, and will only be defrosted upon reaching the restaurant in Suntec City, all of which guarantees absolute freshness. For only $19.90++, diners get to enjoy a value-for-money 5 course set consisting of donburi, udon, tempura, salad and soup, and a choice of 8 different donburis from a medley of ingredients such as fresh maguro, salmon, anago, unagi, ikura and many more. The Hokkai Don is a premium donburi bowl with fresh uni, sea urchin, scallops, salmon sashimi, bright-red salmon roe and aori ika. 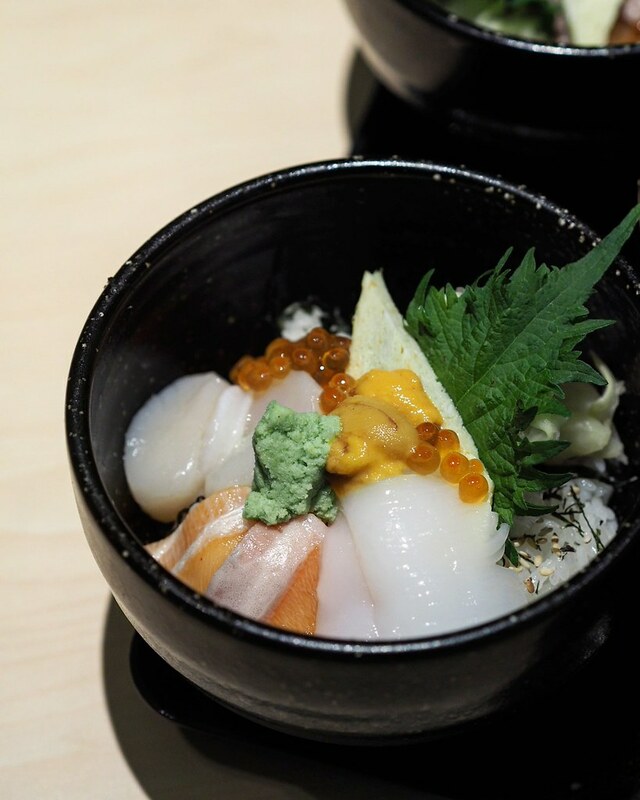 Featuring a luxurious combination of fresh seafood all heaped into a bowl, all the ingredients fare well especially the smooth and creamy sea urchin meat that just melts in the mouth. 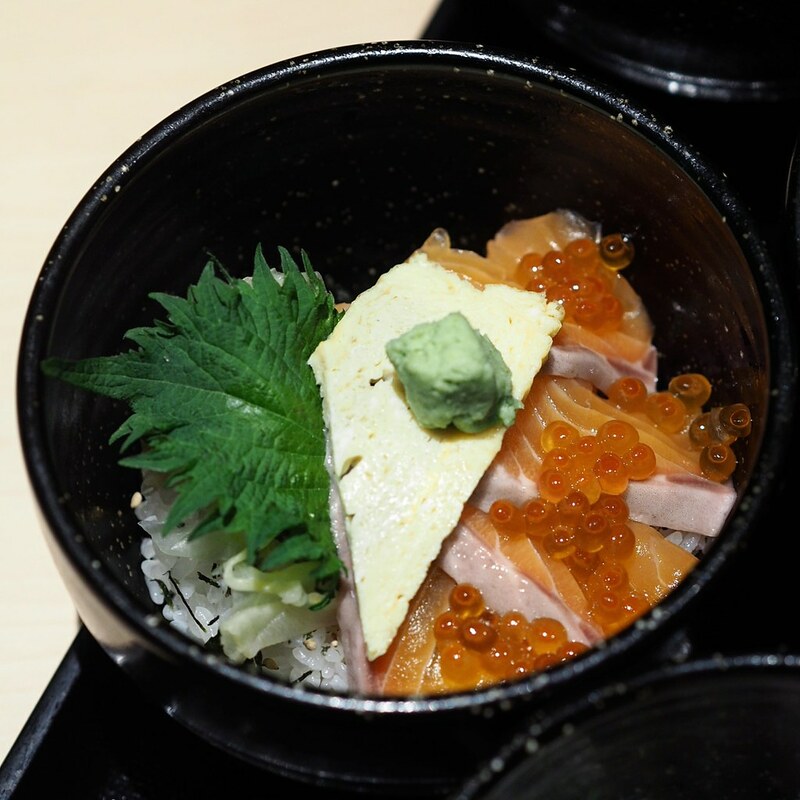 The Salmon Ikura Don is a premium rice bowl with fresh salmon sashimi and gleaming red salmon roe. While the salmon Sashimi slices are good on its own, the sprinkle of juicy salmon roe gives a subtle fish flavour with a hint of popping saltiness. 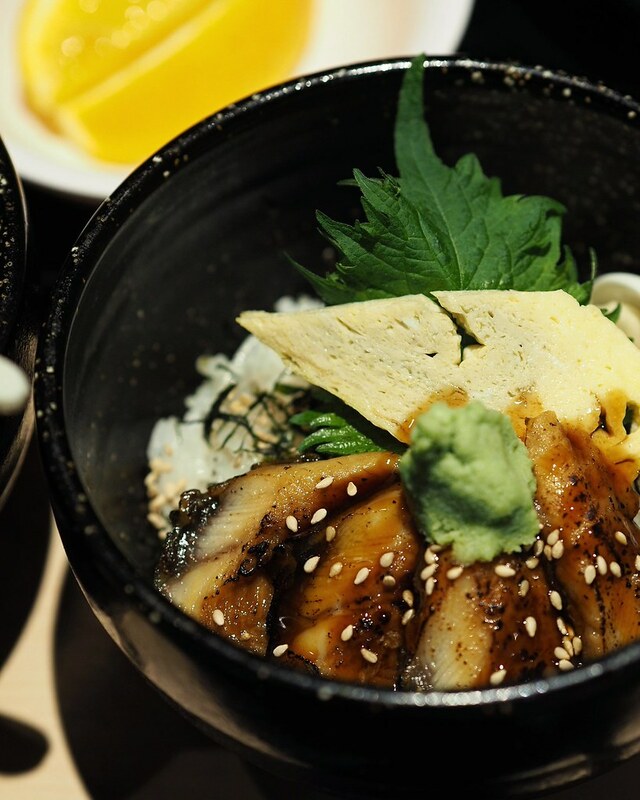 The Unagi Don consists of grilled river eel seasoned with sweet and savoury kabayaki sauce atop fresh sushi rice. The grilled river eel boasts a tender texture that just melts in the mouth with every bite, while the addition of kabayaki sauce contributed a nice balance of flavour to the eel, without being too light or heavy, such that diners get to fully appreciate the freshness of the grilled eel meat. 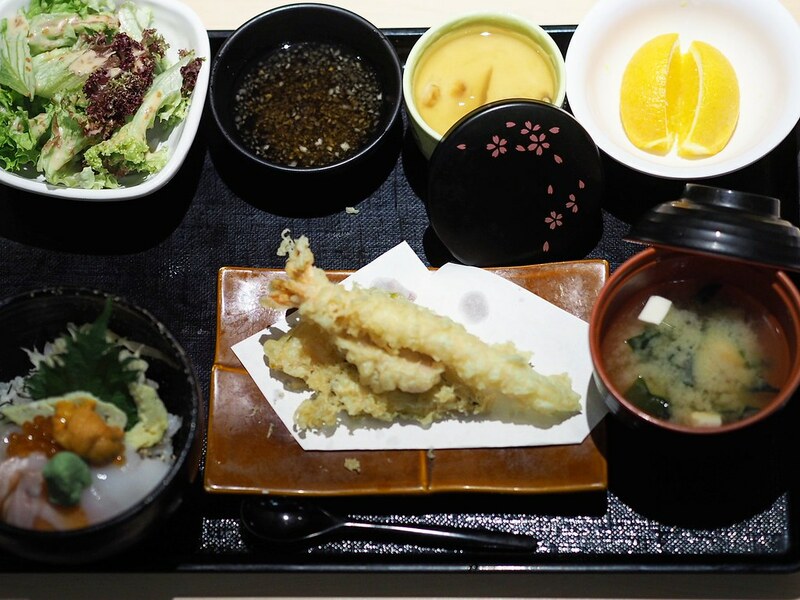 The Anago Don consists of grilled sea eel drizzled with sweet and savoury sauce atop fresh sushi rice. 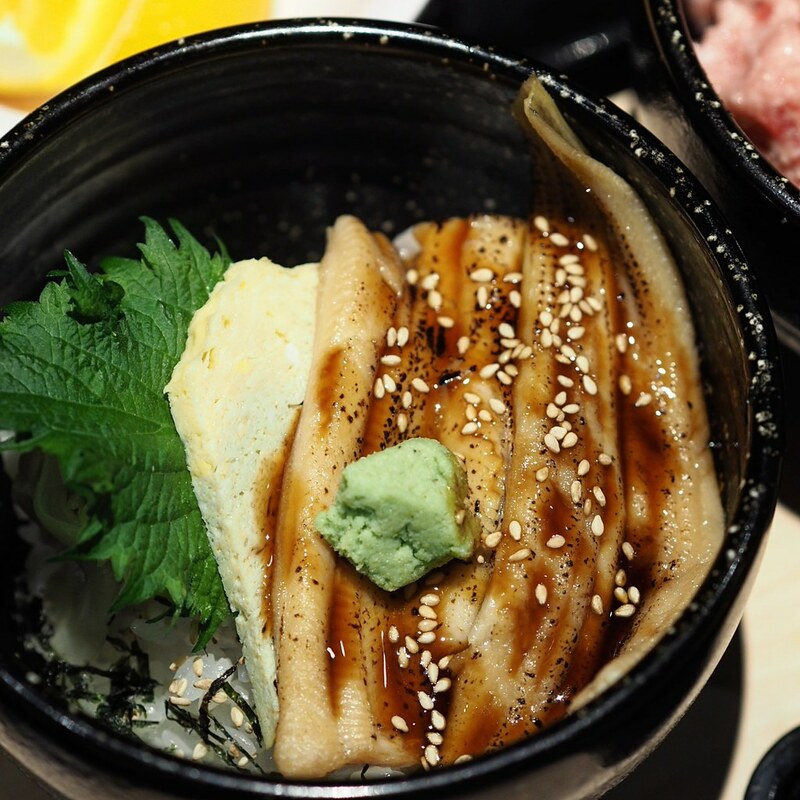 Similar to the Unagi Don but using grilled sea eel instead of river eel, the meat is soft and tender as well, with the sweet and savoury sauce adding a subtle touch of flavour to it without masking the freshness of the grilled eel. The Kaisen Don is a delightful combination of fresh salmon, akami maguro, kanpachi, ebi and ika on fresh sushi rice. Featuring another luxurious variety of fresh seafood in a bowl, the generous cuts and portion of the ingredients made it worthwhile. 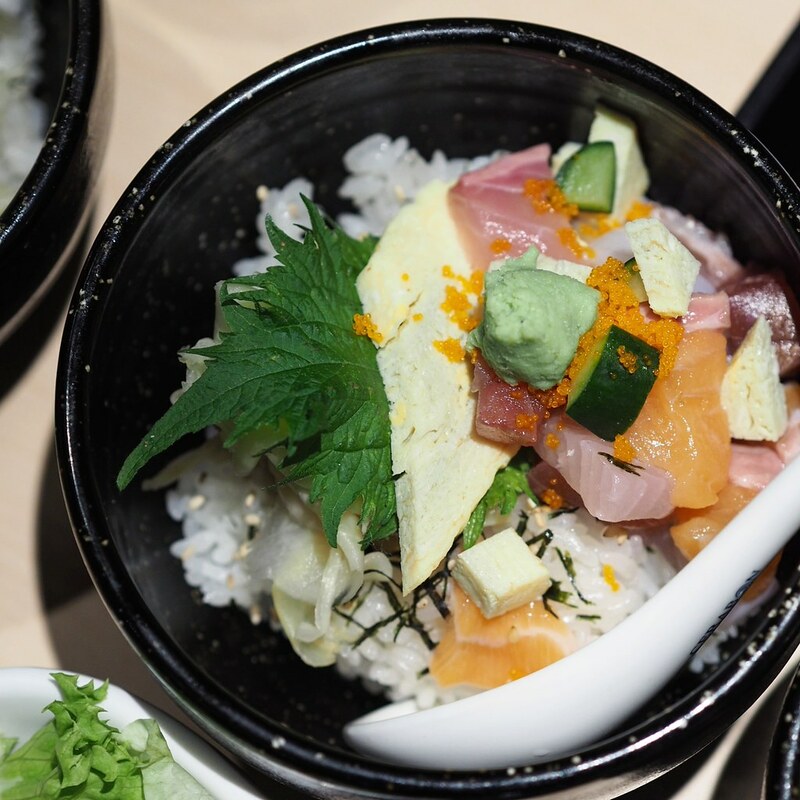 The Bara Chirashi Don is a well-loved classic of fresh mixed dice salmon sashimi on fragrant sushi rice. The bowl has a more delicate taste, without going too heavy on the marinate. Ingredients wise, it has a good proportion of dice salmon sashimi and maguro. 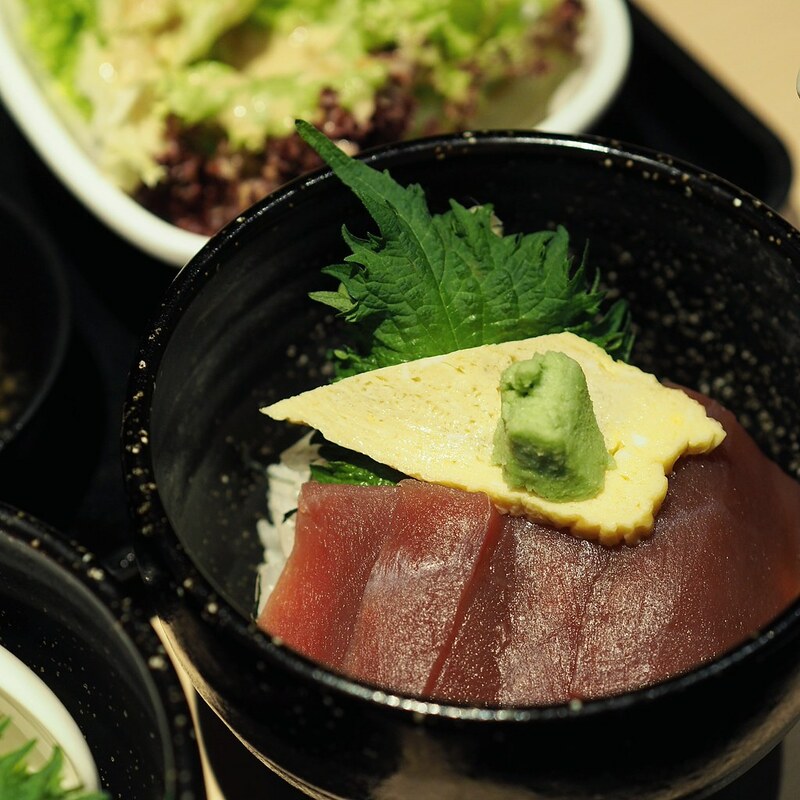 For the tuna lovers, the Tekka Don is sure to satisfy with Maguro Donya’s signature fresh lean akami sashimi. 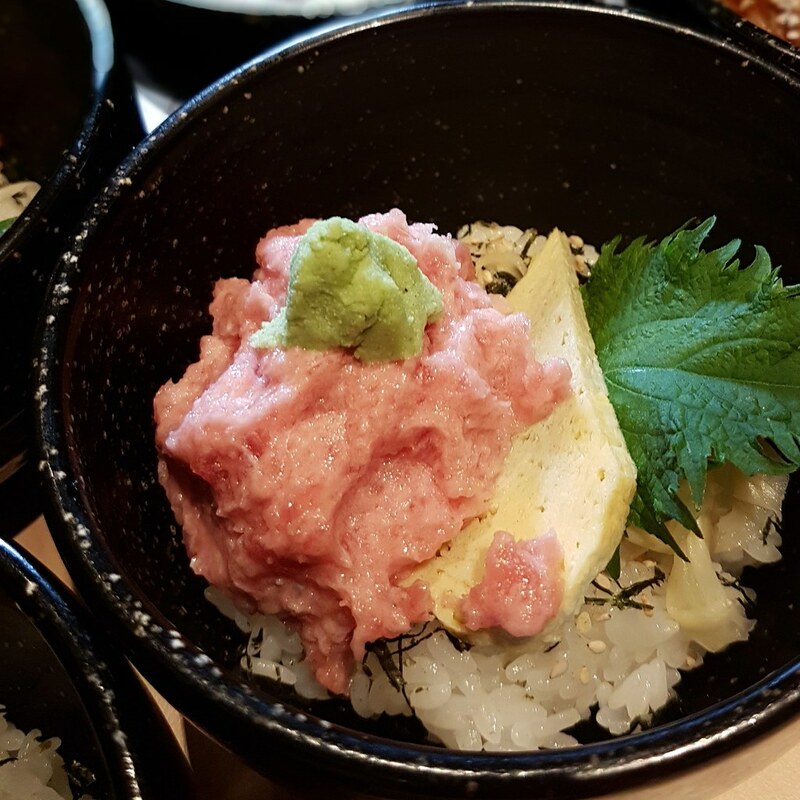 The succulent slices are tasty on their own, further complemented with fluffy Japanese rice. The Hikkaki Don consists of maguro belly meat served atop fresh sushi rice, and garnished with scallions. The generous amount of scraped maguro belly is soft and flavourful, with a melt-in-the-mouth consistency that I really enjoyed. 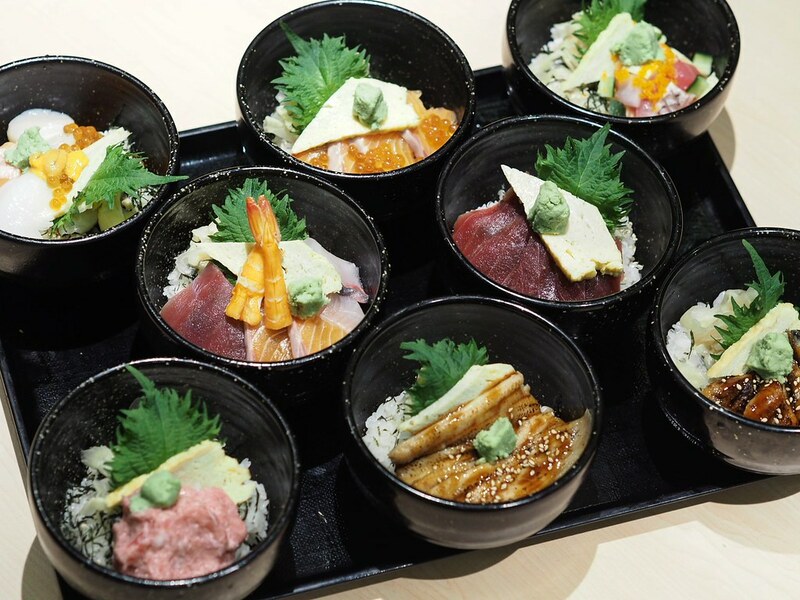 Conveniently located at Suntec City mall, Maguro Donya is the perfect place to satisfy your Japanese food cravings with its quality and affordable Japanese cuisine. If you’re feeling indulgent, choose to lux your donburi up with luscious uni and negitoro add-ons at only $5.